We posted earlier today about the fact that three of today's crop of Arab-on-Israeli stabbing attacks were done by women. Earlier still, this morning, we noted that yet again a knifing attacker turns out to be a child of sixteen (he was shot dead in the attempt). 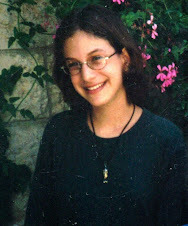 Last Thursday, we wrote about how many of the "martyrs" and assorted other stabbers are children of 15, 14, 13, 12 and 11. The New York Times, in an otherwise disingenuous and characteristically superficial look ["Young Palestinian Women Join the West Bank Turmoil", Diaa Hadid and Rami Nazzal, December 1, 2015] at the contribution made by women and girls in the recent mayhem, reflects on the "15 women who have tried, or are accused of trying, to stab Israeli soldiers or civilians in the West Bank since an uprising began in October. Where previous outbursts of Palestinian violence predominantly involved men, women have accounted for about 20 percent of all Palestinian attackers in the last two months." Mahmoud Abbas, the president of the government that is supposed to look after these women and children, praises their savagery and their deaths to the skies. As we wrote here an hour ago, this venal, power-drunk kleptocrat says he blesses "every drop of blood... spilled for Jerusalem". It's "clean and pure blood, blood spilled for Allah", this thug in a suit says to his people - in Arabic, but never in English. "Every martyr (the Arabic word is shahid) will reach paradise, and everyone wounded will be rewarded by Allah..."
The depravity of the society over which this awful person presides was on display last week in another excellent Palestinian Media Watch analysis. It focuses on a speech made by the PA government's Minister for Women's Affairs, Haifa Al-Agha. As we review the barbarism this woman is busy marketing to her public, keep in mind (as Wikipedia discloses) that this disturbed politician is a graduate of Oklahoma State University where she earned a PhD in Educational Studies in 1991. 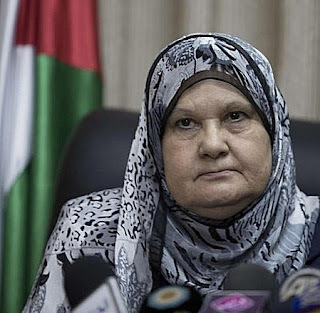 And though she serves the Fatah-controlled "moderate" PA today, there was a time when she was a Hamas functionary, a minister in its Gaza-centred Islamist regime. She was being pragmatic, not merely insane. Her side needs dead children. They are crucial in multiple ways to the success of what the Palestinian Arabs are now doing. Those cries of joy are part of her team's plan. 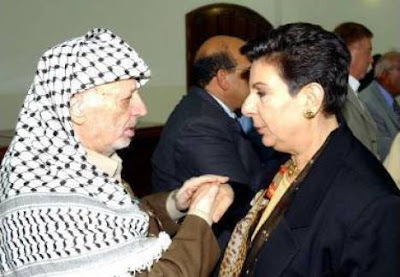 We feel it's appropriate now to recall the outrageous nonsense propounded by one of the longest-standing of the Palestinian propagandists, Dr Hanan Ashrawi. 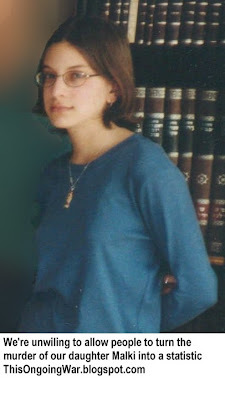 In a post we published nearly three years ago ["9-Jan-13: Yet another reminder why war against terrorists is different from conventional warfare"], we referred to how the divisive and highly controversial Ashrawi said in 2003 about the then-current "intifada" that it would continue "in different shapes, different forms". "They're telling us we have no feelings for our children. We're not human beings, we're not parents, we're not mothers and fathers... Sometimes I don't want to sink to the level of responding, of proving I'm human. I mean, even animals have feelings for their children." That much-quoted (and, as far as we know, never repudiated) statement from Ashrawi first appeared in an interview she gave to Bob Simon of CBS "60 Minutes". It was broadcast as part of an item called “Children on the Front Lines,” on October 24, 2000. It was later quoted in "The Use of Palestinian Children in the Al-Aqsa Intifada" (Justus Reid Weiner/JCPA), published November 1, 2000. (The original CBS source is no longer online, but can still be accessed in this CBS article published in 2009.) The intro describes Dr Ashrawi as having been "in the forefront of the peace movement for years" and that she considers the Israeli claims about allegations of parental inhumanity in Palestinian Arab society to be "the epitome of racism". We assume Dr Ashrawi knows much, much more than we about racism. On the other hand, we know how to understand plain-speaking Palestinian Arab mothers when we see and hear them. Should we now introduce her to the well-named Dr. Al-Agha? Or perhaps they already feed at the same trough. And a truly chilling video [embedded in "30-Jul-14: The ordinariness of utter evil"] that originally aired on Israel's main television channel. An ordinary young Palestinian Arab mother's eloquent monstrousness, spoken into the camera from within an Israeli hospital, ought to be a conversation stopper whenever the difficult question of what her society wants from its children arises.